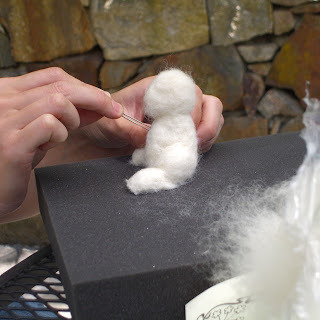 My sister is staying with me - and so far I have tortured her with some shopping and needle felting. 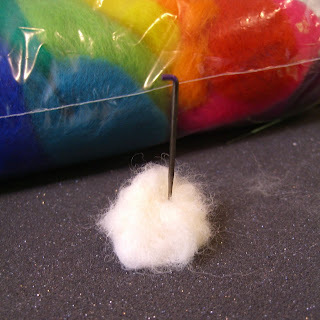 We found out that needle felting takes some time and can be quite painful when you needle felt your fingers! Here are the results. 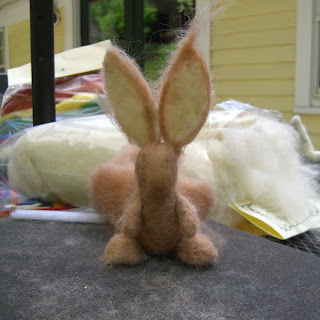 ... but eventually after much needle poking grew first needle felted bunny! Do you like his carrot? Or his fine fluffy tail? 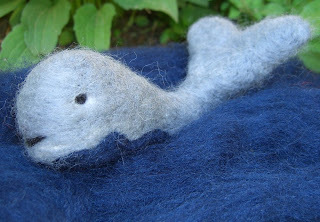 And what did my sister make ... well she made a very cute whale - here he is swimming in the deep blue sea! Is this the very first time you've done this? Those are fabulous!!! Both of those are wonderful! I am so glad that you have your sister visiting, I hope you both have a lovely time. 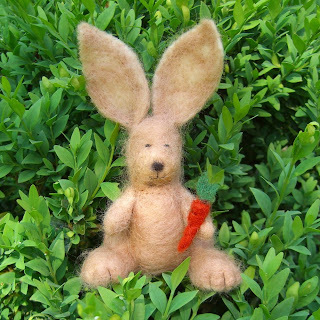 I am so impressed with your needle felted toys, they are lovely. I know what you mean about the needle hurting your fingers, I think that,s why I only tried it once. Both are delightful. How are the fingers? Periwinkle said her were very sore. How lovely! A very good start and I always think you can never have too big ears on a rabbit! beautiful! The carrot is indeed lovely but I must say, I love the whale in his ocean! What fun! I am so truly amazed by how cute these two little critters are. Nice work sisters! 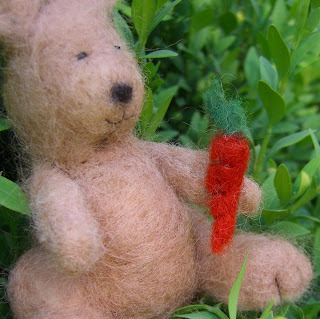 Adorable, I've never tried needle felting and I doubt I'd be able to produce anything like your rabbit and whale, they are great. Patience and poking pays off -- they both are very sweet and cuddly!! They are just wonderful! 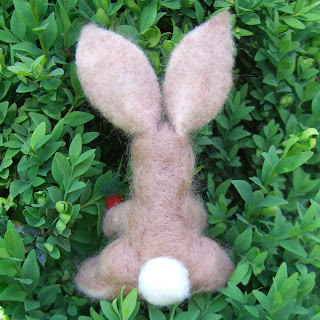 I've done a bit of 2D needle-felting (very basic! ), but your 3D creatures are very tempting. They are just beautiful. Too cure. You ladies are very clever.